It has been suggested that List of superlative Academy Award winners and nominees be merged into this article. (Discuss) Proposed since March 2019. This is a list of Academy Award records. This information is current as of the 91st Academy Awards ceremony, held on February 24, 2019, which honored the best films of 2018. Walt Disney won 22 Oscars. 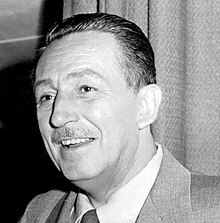 In 1954, Walt Disney won four awards out of six nominations, both records. He won Best Documentary, Features for The Living Desert; Best Documentary, Short Subjects for The Alaskan Eskimo; Best Short Subject, Cartoons for Toot Whistle Plunk and Boom; and Best Short Subject, Two-reel for Bear Country. He had two additional nominations in Best Short Subject, Cartoons for Rugged Bear; and Best Short Subject, Two-reel for Ben and Me. Cedric Gibbons, who designed the Oscar statuette, won 11 awards out of a total of 39 nominations. The following individuals won Academy Awards for their film debut direction. Three films have received the Big Five Academy Awards: Best Picture, Director, Actor, Actress, and Screenplay (Original or Adapted). Walt Disney was awarded a record of 10 awards in the eight consecutive years from 1931/32 through 1939. Eight (listed below) are for Short Subject (Cartoon), and two were Special Awards: one for the creation of Mickey Mouse, and one recognizing the innovation of Snow White and the Seven Dwarfs. Thomas Little won three consecutive awards for Best Art Direction, Black and White, for the films How Green Was My Valley in 1941, This Above All in 1942, and The Song of Bernadette in 1943. Little also won an Oscar the next year in 1944 for Best Art Direction, Color for the film Wilson. Jim Rygiel and Randall William Cook won three consecutive visual effects Oscars for The Lord of the Rings: The Fellowship of the Ring (2001), The Lord of the Rings: The Two Towers (2002), and The Lord of the Rings: The Return of the King (2003). Thomas Moulton won three consecutive awards for The Snake Pit in 1948, Twelve O'Clock High in 1949, and All About Eve in 1950. Edith Head won three consecutive awards for The Heiress in 1949, All About Eve in 1950, and A Place in the Sun in 1951. Midnight Cowboy (1969). It was also the first X-rated film to be nominated for Best Picture and the only one to date to have won it. Marion Cotillard won Best Actress for La Vie en rose (2007). She is the only actress to date to have won it. Nicole Kidman for The Hours (2002) – Born in the U.S.
James Ivory, age 89 (Best Adapted Screenplay, Call Me by Your Name, 2017). 1981 with a combined average age of 70.5 years old. 1980 with a combined average age of 29 years old. Grand Hotel (1932) received only the Best Picture nomination. Pepe (1960) received 7 nominations with no major nominations. Harold Russell played Homer Parish in The Best Years of Our Lives in 1946. For this role he received 2 Oscars, one for Best Supporting and an honorary award for being an inspiration to all returning veterans. Bob Dylan: Won an Oscar for Best Original Song for the song "Things Have Changed" from Wonder Boys in 2000, and the Nobel Prize in Literature in 2016. Warren Beatty was nominated in the four categories for Heaven Can Wait (1978), and again for Reds (1981). Film composer Victor Young was nominated 21 times without winning. He was often nominated multiple times in one year; twice, four times at the same Oscars. He won posthumously for Around the World in 80 Days, alongside yet another nomination (also posthumous). Sound re-recording mixer Kevin O'Connell comes in at a close second, with 20 unsuccessful nominations from 1983 until 2016, when he finally won for Hacksaw Ridge. Walt Disney with 59; followed by composer John Williams with 51; composer Alfred Newman with 43; production designer Cedric Gibbons with 39; costume designer Edith Head with 35; songwriter Sammy Cahn with 26; composer Max Steiner with 25; Woody Allen with 24; composer Victor Young with 22; sound mixer Kevin O'Connell, Billy Wilder and Meryl Streep tied with 21. The Middle-earth series with 17 competitive wins out of 37 nominations (for The Lord of the Rings and The Hobbit). Limelight (1952) is the only film to have won an award twenty years after its official release. Since it was not released in Los Angeles County until 1972, it was not eligible for any Academy Awards until that time. "Fast Eddie" Felson – Paul Newman (*); Newman played Felson in The Hustler and its sequel, The Color of Money, winning for the sequel. Father Chuck O'Malley – Bing Crosby (*); Crosby played O’Malley in Going My Way and The Bells of St. Mary’s, winning for Going My Way. 46 portrayals of monarchs or civil leaders (real and fictional), have been nominated for acting awards, with 11 winners. The United Kingdom is the most represented nation. Overall, there have been 16 nominations and 5 wins for portrayals of British monarchs. In addition, Vanessa Redgrave was nominated for her portrayal of Mary, Queen of Scots. The only portrayal of a non-British monarch to win an award was Yul Brynner as King Mongkut of Siam in The King and I. 10 portrayals of Presidents of the United States - two of them fictional - have been nominated, with Daniel Day-Lewis's portrayal of Abraham Lincoln the only winner. Portrayals of four French kings and Emperor Napoleon Bonaparte have nominations. Charlie Chaplin and Jack Oakie were nominated for their respective turns as the dictators of Tomainia and Bacteria in The Great Dictator. 11 portrayals of spouses/consorts of leaders have been nominated, with Katharine Hepburn's Eleanor of Aquitaine the only winner. Bob Hope received 5 honorary awards – 2 Special, 2 Honorary, and the Jean Hersholt Humanitarian Award. The longest Oscar speech was that given by Greer Garson at the 15th Academy Awards after she was named Best Actress for 1942 for Mrs. Miniver. Her speech ran for nearly six minutes. It was shortly after this incident that the Academy set forty-five seconds as the allotted time for an acceptance speech and began to cut the winners off after this time limit. When presenting the Best Actor award at the 24th Academy Awards, Garson quipped, "I think I have ten minutes left over from a highly emotional speech I made a few years ago. I'd be glad to give it to them." The shortest Oscar speech was that given by Patty Duke at the 35th Academy Awards after she was named Best Supporting Actress for 1962 for The Miracle Worker. Duke, age 16, was the youngest person at that time to receive an Academy Award in a competitive category. Her acceptance speech was, simply, two words – "Thank you" – after which she walked off the stage. ^ "Cedric Gibbons". theoscarsite.com. Retrieved 2010-12-31. ^ a b c Burr, Ty (2007-01-26). "Beginner's Luck". EW.com. Retrieved 2012-02-27. ^ a b c "Session Timeout – Academy Awards® Database – AMPAS". Awardsdatabase.oscars.org. 2010-01-29. Archived from the original on 2012-01-11. Retrieved 2012-02-27. ^ "Academy Awards Best Supporting Actress". Filmsite.org. Retrieved 2012-02-27. ^ "Classic Film Guide". Classic Film Guide. 2010-08-17. Retrieved 2012-02-27. ^ "Academy Awards Best Director – Facts & Trivia". Filmsite.org. Retrieved 2012-02-27. ^ a b c "Awards Database". Awardsdatabase.oscars.org. 2010-01-19. Archived from the original on 2009-03-01. Retrieved 2012-02-27. ^ "Awards Database". Filmsite.org. Retrieved 2012-02-27. ^ "Media Awareness web site". Media-awareness.ca. 2010-07-08. Retrieved 2012-02-27. ^ "Academy Awards Best Actor". Filmsite.org. Retrieved 2012-02-27. ^ "Academy Awards Best Directors". Filmsite.org. Retrieved 2012-02-27. ^ "Academy Awards Best Supporting Actor". Filmsite.org. Retrieved 2012-02-27. ^ "Help Page – Academy Awards Database – AMPAS". Awardsdatabase.oscars.org. 2010-01-19. Archived from the original on 2009-03-01. Retrieved 2012-02-27. ^ Knolle, Sharon (2011-05-04). "Former Child Star Jackie Cooper Dies at Age 88". Blog.moviefone.com. Archived from the original on 2012-01-27. Retrieved 2012-02-27. ^ a b "Youngest v oldest actress vie for Oscar as Lincoln leads the pack". The Times. Retrieved 2013-01-10. ^ a b Walker, Tim (2013-01-10). "Quvenzhané Wallis v Emmanuelle Riva: Best actress Oscar contested by oldest and youngest ever nominees". The Independent. London. Retrieved 2013-01-10. ^ "Patricia Neal performance length". Serving Cinema. Retrieved 2016-05-16. ^ "Oscars Shocker: '13 Hours' Sound Mixer's Nomination Revoked". ^ "Longest Speech In Oscar History". ^ Katie Roberts (28 February 2014). "Oscars by the Numbers: 33 Fascinating Academy Awards Statistics". AOL Moviefone. Archived from the original on 2016-01-29. Retrieved 2016-01-23. This page was last edited on 21 April 2019, at 06:38 (UTC).